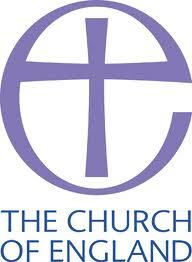 So, the Church of England has voted against the ordination of women bishops at its General Synod on 21 November 2012. How progressive is that? What is particularly troubling is the number of women in the laity who have argued for their own subservience on this issue. It turns out that half of those voting against were women associated with the conservative evangelical group Reform or the traditional Anglo-Catholic movement, Forward in Faith (surely wrongly named?). I am inclined, however, to call for the expedition of the removal of bishops from the House of Lords on the grounds that they represent an organisation with strict discriminatory policies; namely, that women cannot actually get to the top on the basis of some bizarre reading of stories that may or may not be true and of dubious authenticity. Equally – and for not dissimilar reasons – it is time to disestablish. Or maybe on the grounds that a belief in the supernatural should not be rewarded with a seat in Parliament.